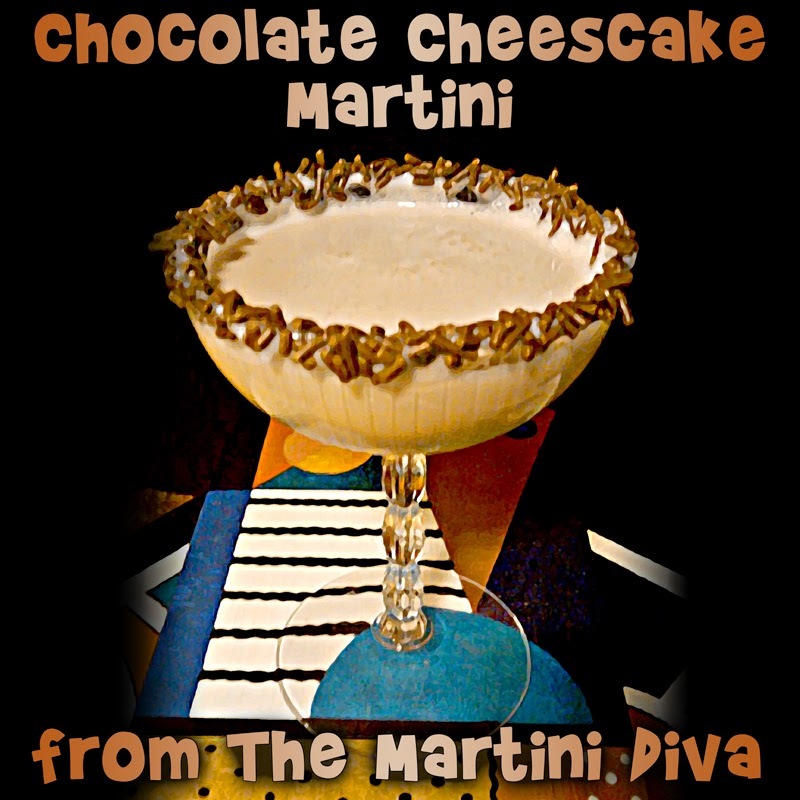 This is my second version of a Chocolate Cheesecake Martini, I have two versions in my archives, white and dark, but this one I put the chocolate cheesecake pudding IN the martini itself and not just on the rim! Dip your martini glass rim in some of the Godiva chocolate liqueur then into the chocolate sprinkles and place in the freezer to chill. Add a cup of ice to your cocktail shaker than pour in the Godiva, Creme de Cacao, chocolate vodka, the pudding mix, half & half, vanilla and the chocolate bitters. Shake vigorously to emulsify the cream with the liquor then pour into your chilled and rimmed glass and enjoy! If you're a coffee lover you can turn this into a Chocolate Espresso Cheesecake Cocktail by adding a teaspoon of espresso powder and eliminating the chocolate bitters. How do you like them coffee beans?